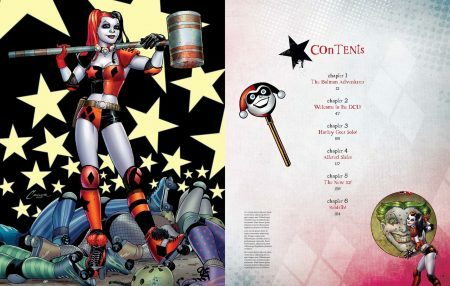 DC Comics’ resident bad gal turned good (sorta), Harley Quinn gets her very own art book in this new release from Simon and Schuster. Harl has really been making quite the presence out of herself these last few years hasn’t she? 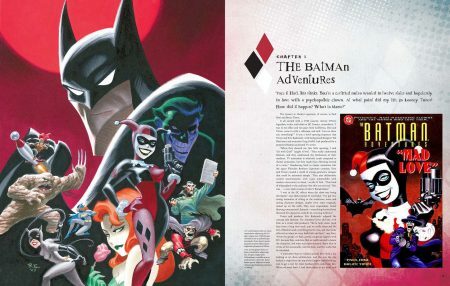 For those not in the know, Harley started out on the 1990s Batman: The Animated Series show. Joker’s main squeeze, Harley was a breakout “star”. She was created by Paul Dini and voiced by Arlene Sorkin, who’s vocal style is still synonymous with the character. But Harley was destined for more than just an animated show (as great as it was). Her first appearance in the comic book DC Universe wasn’t all that long afterwards, and she only blew up from there. Nowadays, Harley Quinn can be seen pretty much everywhere, with action figures, comics, and movies galore. That meteoric rise is the focus of this new book – The Art of Harley Quinn. Sure, it’s masquerading as a simple art tome, but this offering from publisher Simon and Schuster is a bit more. When you crack The Art of Harley Quinn open, you’ll be greeted by a table of contents that runs down the history of the title character. Given the relative “newness” of her too, it’s pretty darn complete. 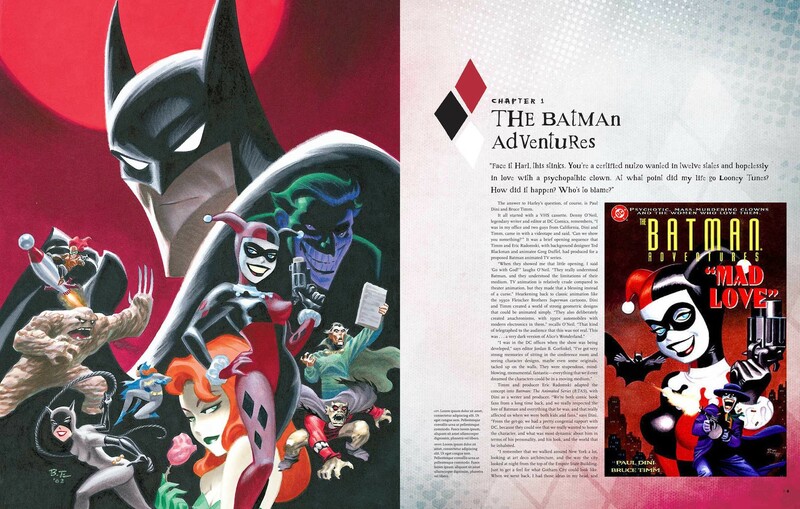 Harley’s in-book story begins with The Batman Adventures as chapter one. 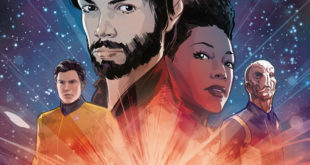 From there, we go into Welcome to the DCU, which chronicles Quinn’s adaption to the comics realm, and her introduction. Then it’s Harley Goes Solo, as the book relates her first adventures away from Mr.J. It’s here that Harley more or less starts the conversion to the character that current fans know and love. Till this chapter, she was big, but after these years she became huge. That leads us into Altered States, which explores alternate versions of the clown princess, before we get to New 52, and eventually Rebirth. As you might have guessed, those last two chapters are dedicated to those specific versions of Harley. Those she didn’t change a ton, she did have some alterations across both soft-reboots (along with everyone else in the DCU). 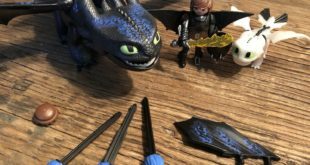 Six chapters might make this sound like a relatively short book, but it’s not really. Remember that Harley’s history only goes back to the 90s, so there’s not 50+ years of stuff to dig into. In that way, interviews and the art itself fills in the gaps. Overall, the book is 184 pages, so it’s not a lightweight. The art is really the star of the show here too, and that’s a good thing considering the title of the book. 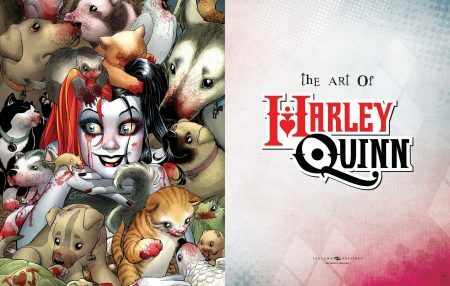 Interviews and history lessons are great and all, but The Art of Harley Quinn should probably have its focus on one thing. Fortunately, it does. Harley has been drawn by some of the best artists in comics, plain and simple. And that’s what’s on display here. The “animated” style of DC’s 90s shows might have been where she got her start, but since then she’s seen the likes of Jim Lee and tons of others take pencil to page. Seeing a good chunk of this in one place is pretty cool, especially since it all focuses on one character. I’ve seen plenty of art books in my time, but most of them tend to showcase a world or universe. 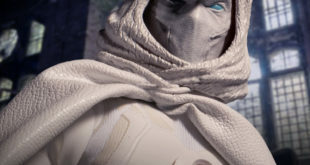 Rarely is it just one character that gets the spotlight, in my experience. It’s interesting to see here, especially since Harley has been through a series of startlingly impactful transformations in her time. Remember that her original look was pretty simple, as she was dressed in a red and black harlequin costume. That’s a sharp contrast to some of the intricately designed outfits that she’s worn since. 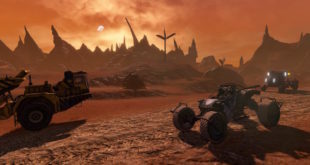 Again, it’s neat to see this all in one place, playing out in pretty solid chronological order. All of the above is bound in a very nice hardcover by the way. The book isn’t huge, but it’s well-sized and looks especially cool on a shelf with its red spine. As for the pages, I have an affinity for thick stock and this one doesn’t disappoint too much. The pages aren’t the heftiest I’ve flipped through, but they’re not cheap-feeling either. It’s best to remember though, that at its core this is a Harley Quinn book. While there’s plenty in here to catch the eye of a DC or a Batman: The Animated Series fan, this is a book that’s best enjoyed by someone who’s a follower of Ms. Quinzel. If you are though, then chase are that you’ll dig this one plenty. 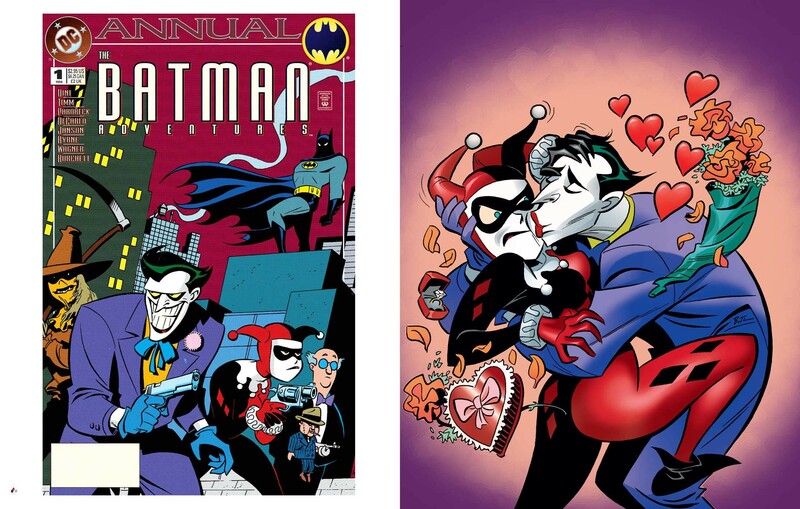 The Art of Harley Quinn is mainly just that - the art of Harley Quinn through the years. There's more to it of course, like some great background and a historical chronology of Harley's evolution. All of it is framed by some excellent art, and that's definitely the main event here. Just be aware that Harley is the focus, and you won't find too many other heroes and villains in these pages. If you're a fan however, then you'll probably love what's presented.